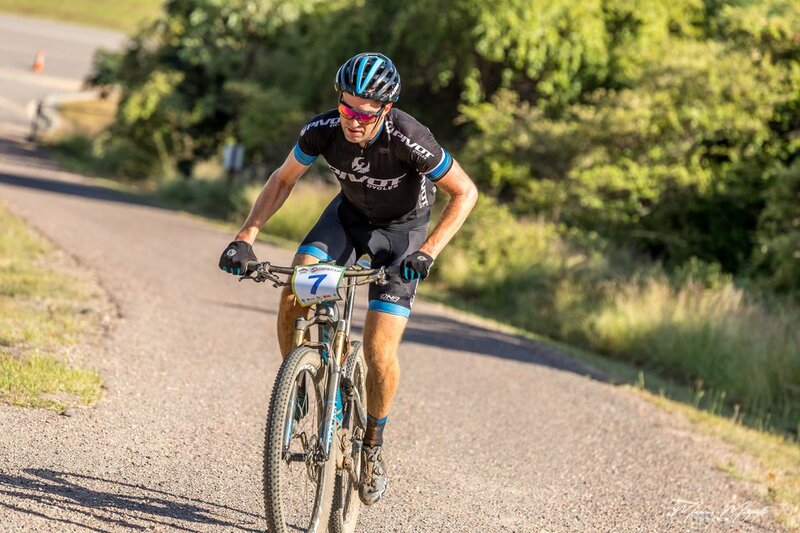 Jason English: 2018 XCM Marathon National Champs AKA - Where is my bike? 2018 XCM Marathon National Champs AKA - Where is my bike? I was planning to write a short and simple report on my visit to Townsville for the 2018 Marathon Champs however, it wasn't a simple weekend. My trip started by racing a missed train from Wollongong to Helensburgh where I finished the train trip to the Sydney domestic terminal. I was there an hour before the flight so I was a little surprised, upon arriving in Townsville, to have Virgin inform me that my bike had missed the flight. With no bike I missed out on a lap around the course Friday evening and instead opted for last minute school work. At midnight my bike got it's own maxi taxi to the campsite where I was staying. With race practice open from 1pm on Saturday, Peter Lister and I planned for a mid-afternoon ride. We ducked into the shops around 2pm with our bikes locked on the roof of the car. The bikes were locked with expensive bike racks, which I have had 100% confidence in. After a 15 minute shop we returned to the car to find security having a discussion and a lack of bikes on the roof. I would have thought a bike should have be safe locked on a car at 2pm, high up on a big 4wd in the middle of a busy shopping center car park just outside McDonalds. I was wrong. With lots of kids roaming around, there would have been some witnesses to the theft. In borrowed thongs I took off in pursuit of a rider who appeared to be riding what could have been one of our duallies. A few kilometers later I was so blistered up I called for a pickup and Pete, who had been circling, picked me up so we could have a chat to the police. With around 300 Facebook shares we got a message that our bikes had been spotted while we were getting the car finger printed. It was interesting to hear the police radio as crew were directed to the sighting. Unfortunately the bikes went out of sight of our spotter and Pete and I were left lapping around the area asking anyone and everyone if they had seen our bikes. After a couple of hours Pete found a family with kids who had seen the bikes and knew who had them. The uncle took us around to the house however the kids who had taken the bikes apparently weren't there. We left our phone number and the offer of a cash reward and headed off to continue searching. Within half an hour we had a call to come back to the same house to pick up our bikes. After we un-reported our bikes stolen, we head back to camp to assess the damage. I had all my Di2 cables pulled, a speed sensor taken, co2 and tubes played with and power meter battery removed. Pete wasn't so lucky. With the rack Pete was using, it required damaging the frame to remove the bike. It also looked like it had been impacted in a few places. I was lucky to borrow cables from a junior, Owen Elvy, who spent a few hours stripping his bike. At 1am we had managed to route the wires and it was time for a few hours sleep. My first ride on my bike in FNQ was on the first lap of the xcm race course. I was feeling pretty good but the bike still needed a few adjustments to make it right. I had no real race plan at Townsville rather than trying to maintain a solid pace and try and stay in the top 10. Initially I felt good for it. Heading into the single track I was just inside 10th however, dropping a chain, getting lost starting the second lap and generally struggling to corner with too much air in my front fork I lost a few more places. By the 3rd out of 5 laps I started to get the hang of the track and started to increase my pace. As I started to pick up a couple of positions I managed to cut a side wall. I didn't think it was so bad so gave it some co2. Five minutes later I put in a tube that had been clearly damaged during the theft. I managed to grab a spare tube but spending over 15 minutes trackside is not a good way to place well. I was mindful of running tubeless tyres and rode far more conservatively. I thought I should still try and have a race and so picked up a few positions in the remaining 1.5 laps. I found it entertaining to catch a busted Michael Harris about to head down the second last descent. I managed to get a gap on him along the last flat tar section and my lead felt very safe up to the final climb where he smashed past. I held his wheel expecting a sprint for the line before Michael had a lay down and let me roll past. I really appreciate your professional approach.These are pieces of very useful information that will be of great use for me in future. Amazing stuff! National marathon game is my favorite and I must get updates when it is start. You really update with wonderful information and best essay writing help me to find out your resources. Thank you!